On Saturday August 20, 2014 B.K.S. 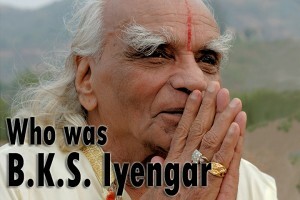 Iyengar died at the age of 95 in , India. Perhaps on the heels of Robin Williams death on August 11th, 2014, I feel his passing received little attention in the media, social media and even the yoga social media. Today I want to speak a little bit about who B.K.S. Iyengar was and why he was so important to the world of yoga. B.K.S. 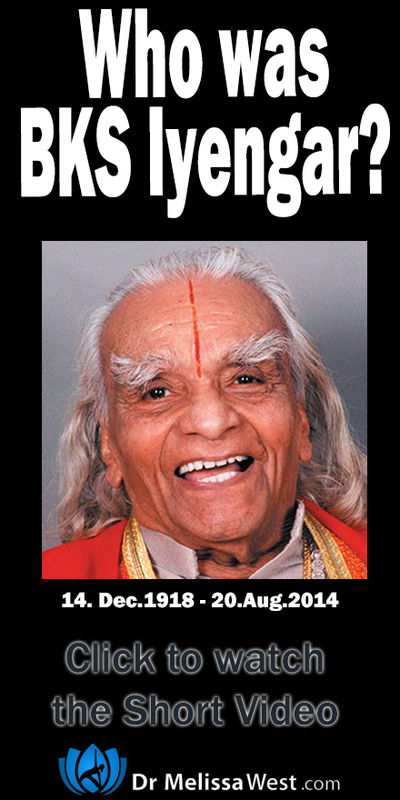 Iyengar was one of the most influential teachers of yoga in the world. His book, Light on Yoga is one of the core texts for most teacher training courses anywhere in the world. His method has influenced most every style of yoga taught around the world. If you use a yoga strap or a block, you have Iyengar and his extensive use of props to thank for that. Iyengar was born during an influenza epidemic leaving him sick and weak. When Iyengar’s father died when he was 9 year’s old, Iyengar went to live with his brother, however his childhood was filled with illness including malaria, tuberculosis, typhoid and malnutrition. When Iyengar was 15 he went to Mysore to live with his eldest sister. Her husband was Sri T. Krishnamacharya. Iyengar received some basic instruction on yoga asana to improve his health from Krishnamacharya and as he mastered some of the postures, his health improved. Iyengar’s approach to yoga targeted various ailments, diseases and disorders. Based on his own experience of healing himself through yoga, he dedicated his life to healing others through yoga by developing specific programs of yoga of asanas to be adjusted based on a person’s stage of recovery. That’s a little bit about B.K.S. for today, in my next blog post I will tell you a little bit more about him as he has influenced the lineage of yoga from which I come.